Those words—“[this] changed my attitude towards the Bible”—are from pastor and author Timothy Keller in his most recent book Hidden Christmas. The event he’s speaking about was a time of observing one Bible verse for an extended period of time. Two weeks ago, I wrote about the importance of observing the Bible carefully before we come to conclusions about what a passage means and before we figure out how we are supposed to obey a passage. In short, we must observe a passage carefully before we interpret and apply it. [In the Bible, what] looks like a simple statement, when pondered, can be discovered to have multiple dimensions of meaning and endless personal applications—far more than could ever be discovered with a cursory glance. At [a formative] Christian conference [for me] . . . there was a session on how to read the Bible. The speaker, Barbara Boyd, said to us, “Sit down for thirty minutes and write down at least thirty things you can learn from Mark 1:17,” which reads, “’Come, follow me,’ Jesus said, ‘and I will send you out to fish for people.’” Then she instructed us, “Don’t think after 10 minutes and four or five things written down that you’ve figured it out. Take the whole thirty minutes and try to get to thirty things observed.” So we sat silently and did as told. And indeed, after about ten minutes I was pretty sure that I’d seen everything there was to see in these fifteen words. I put my pen down and wanted to spend the rest of the time daydreaming but everybody else looked like they were still working, so I picked up the pen and started pondering some more. Then I began to notice new things. If I imagined what the sentence would mean without one of its words, it was easier to assess what unique meaning it brought to the sentence. That gave me ability to get another two or three insights around each term. Then I tried to paraphrase the whole verse, putting it into my own words. That showed me more levels of meaning and implication that I had missed. At the end of the thirty minutes, the teacher asked us to circle on our papers the best insight or the most life changing thing we had gotten out of the text. Then she said, “Okay, how many of you found this most incredible, life-changing thing in the first five minutes?” Nobody raised their hand. “Ten minutes?” Nobody raised their hand. “Fifteen minutes?” A few hands. “Twenty minutes?” A few more. “Twenty-five minutes?” Even more. That session changed my attitude toward the Bible and, indeed, my life. 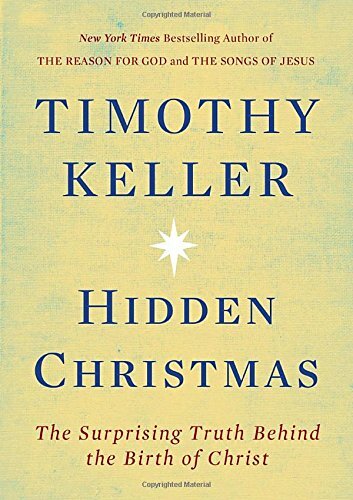 Timothy Keller, Hidden Christmas: The Surprising Truth Behind the Birth of Christ (New York, NY: Viking, 2016), 105–106 (emphasis original).